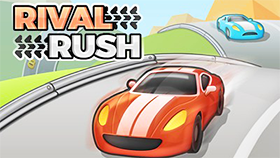 King's Rush is an exciting action genre developed by Smokoko S.A. The game has cute graphics and fun games that are suitable for all ages, especially children and families. You will control the king and run as far as possible. The longer you run the more gold you will receive. This gold can be used to upgrade your cart, buy gadgets or boosters to help you run further. There are a total of 3 areas, in which Frostland is the first area where you will begin the journey. 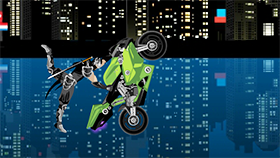 In addition, the game has a system of achievements with 10 challenges for you and other features have not been unlocked. The most interesting point of this game is the obstacles on your way. You will encounter snowmen, snow piles blocking your way or giant snow monsters. Take advantage of the abilities you have, such as jumping to dodge obstacles or shooting bullets to kill enemies in front of you. You should note that in each turn you will have 3 bloods. The game will end if you run out of blood or when your cart is not moving anymore. Upgrade your card as soon as possible. Dodging the obstacles will help you to run further.